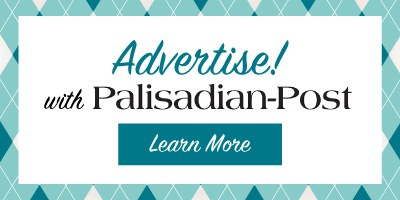 As of July 1, there were 61 single-family Palisades residences listed in the Multiple Listing Service, which is 23 percent lower than at the start of July 2017. So far this year, 112 Palisades homes have sold, which is down 14 percent from this time last year, and there are now 31 homes in escrow in Pacific Palisades. The average price per square foot ($1,205) is up by 7 percent over this time last year, and the median sale price ($3.385 million) is up by 15 percent now. One main reason for this is the continued low level of inventory. The lowest-priced available home is a three-bedroom, two-and-a-half-bath on Sunset at $1.495 million. The highest-priced property is an eight-bedroom, 12-bath on Ravoli, asking $26.75 million. The lowest sale price so far this year was a three-bedroom, three-bath on Las Pulgas Road, which sold for $1.4 million. The highest sale so far this year, which was on San Remo, set a new record at $38 million. There are now 13 condominiums/townhouses on the market. They range from two-bedroom, two-bath on Sunset, offered at $895,000, to a two-bedroom, two-bath condo on Sunset for $1.749 million. Eleven condos are currently in escrow. There have been 34 condo sales so far this year. The lowest was a one-bedroom, one-bath on Sunset, which sold for $580,000, and the highest was a one-bedroom, three-bath townhome on Sunset, which sold for $1.83 million. The median condo sales price is $1.28 million, which has increased by 14 percent from this time last year. There are currently only three pieces of raw land available, ranging from a couple acres on Palisades Court, offered at $1.262 million, to $12 million for a lot on Sunset between Marquez and Palisades Drive. Six lots have sold this year and five are currently pending sale. There are now 66 available leases in the Palisades. They range from a two-bedroom, one-bath guest house on Linda Terrace, asking $2,900 per month, to a three-bedroom, five-bath home on Posetano, asking $50,000 per month. There have been 135 leases so far this year. The highest lease so far this year was a seven-bedroom, eight-bath on La Cumbre for $57,500 per month, and the lowest was $2,500 per month for a one-bedroom, one-bath guesthouse on Via De La Paz. The median was $8,250 per month. This is three percent higher than the median lease price at this time last year. 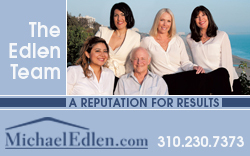 Michael Edlen, an agent with Coldwell Banker, has been keeping statistics on Pacific Palisades housing prices for the last 32 years.